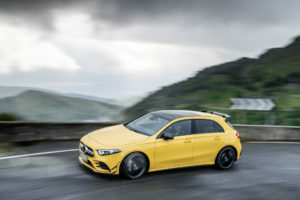 AMGmarket.com News/Diamler PR/Affalterbach: The new Mercedes-AMG A 35 4MATIC is now available for order. The heart of the agile entry-level model into the world of Driving Performance is the newly developed 2.0-litre four-cylinder turbo engine with an output of 225 kW (306 hp). High driving dynamics are also ensured by the AMG SPEEDSHIFT DCT 7G dual-clutch transmission, the AMG-specific suspension and the variable AMG Performance 4MATIC all-wheel drive. The limited Edition 1 with progressive exterior and interior design elements offers even more individuality. It is available from market launch for a period of 18 months. The Mercedes-AMG A 35 4MATIC costs 47,528.60 euro, the Edition 1 sells for 55,364.75 euro.Deliveries of both start in December 2018. The new Mercedes-AMG A 35 4MATIC expands the AMG model range by an attractive entry-level model. The 2.0-litre four-cylinder turbo engine generates an output of 225 kW (306 hp) and produces a peak torque of 400 Nm. An acceleration time of 4.7 seconds for 0-100 km/h and the top speed of 250 km/h (electronically limited) meet the customers’ requests for high driving dynamics in the compact segment. 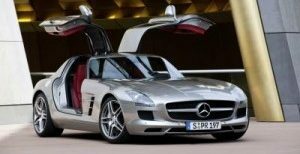 The standard-fit AMG Performance 4MATIC all-wheel drive varies the torque distribution anywhere from pure front-wheel drive to a 50:50 ratio and thereby combines best possible traction with tremendous driving fun. Five AMG DYNAMIC SELECT drive modes enable a wide spread in the vehicle characteristics from comfortable to dynamic.